Sometimes you get the chance to sit in a work of art. It is not often that you are allowed to sit in a work of art, but the new signature piece by Emmanuel Babled lets you experience that unique sensation. This multipurpose furniture with its generous seating and distinct foundation truly embodies both craft and industry, beauty and function. So go on, please have a seat in Babled. 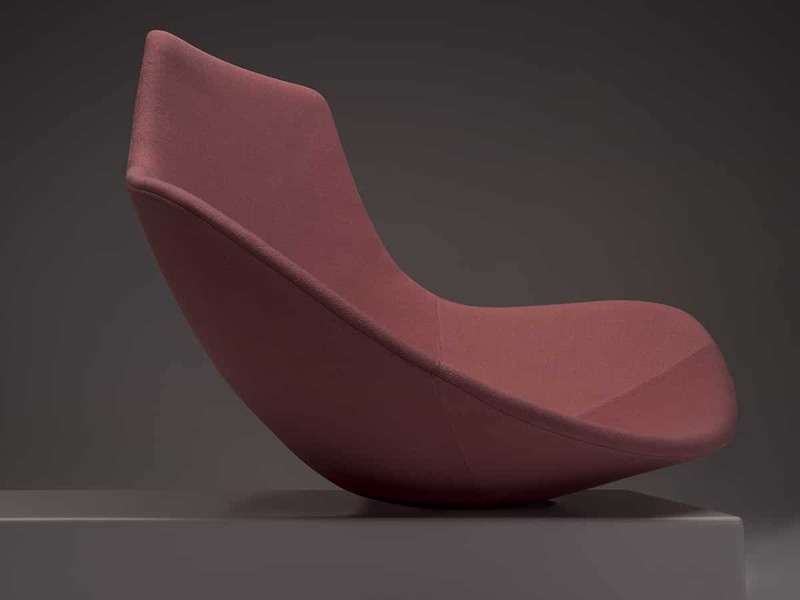 The craft-based work of celebrated French designer Emmanuel Babled has resulted in the easy chair Babled. What started out as a prototype in marble has, working with Offecct, been developed into commercial seating furniture that will be admired for its beauty as much as for its comfort and function in various public spaces. 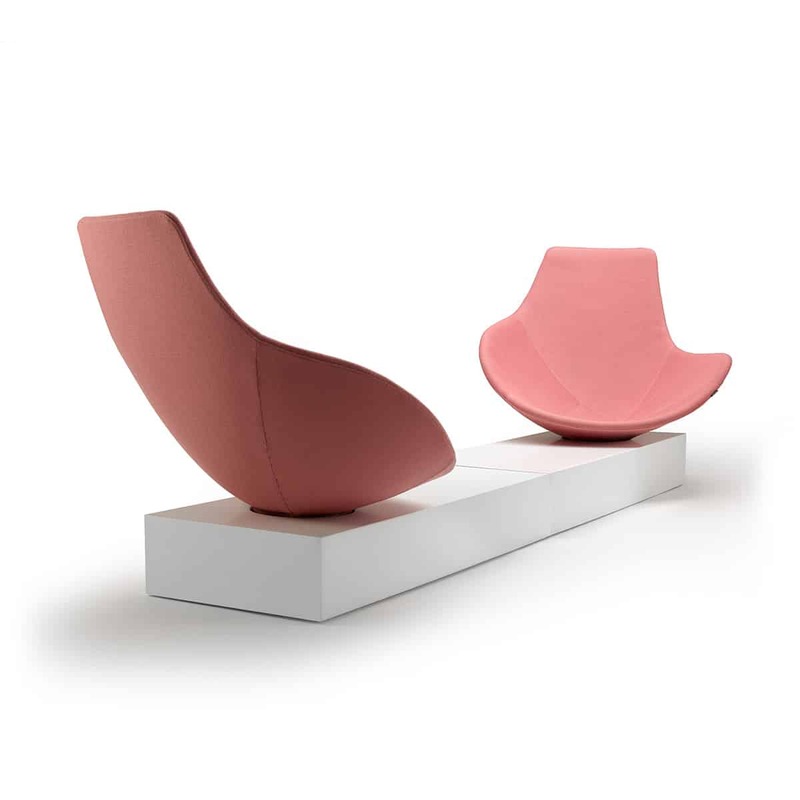 “The inspiration for the shape and composition of Babled chair came to me when I saw a butterfly leaning on a brick. I loved the contrast between fragility and resilience. The finished piece defines a place in a somewhat cinematic way. 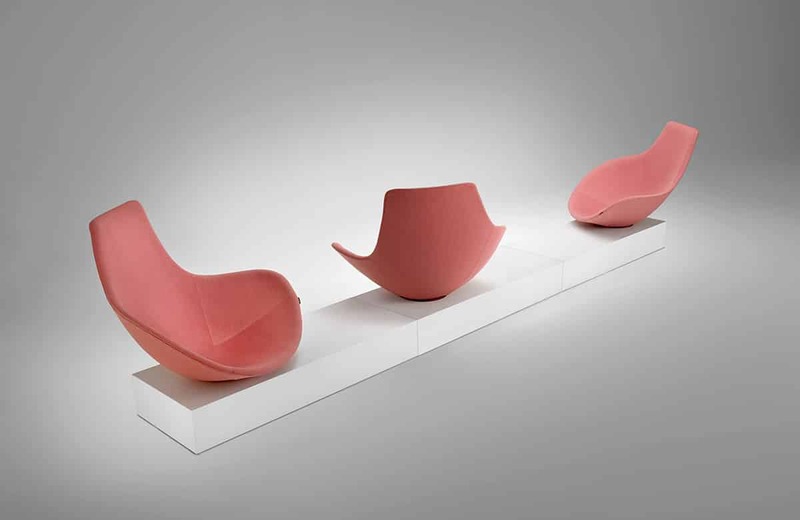 While the flowing lines of the soft shell invite you to lean back and stick your legs out in a relaxed way, it also protects you and gives you a sense of control and coolness while swirling around, surveying a room in 360 degrees,” says Emmanuel Babled. 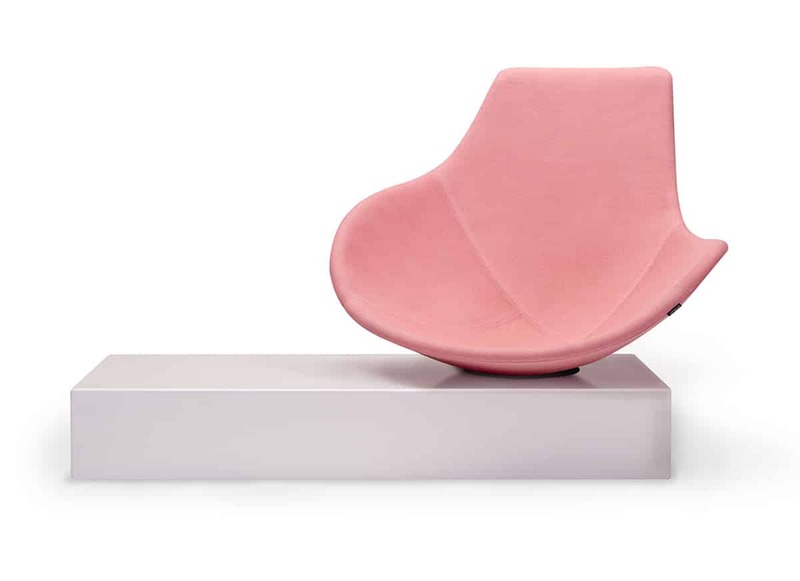 An organic form has been made into an upholstered seat, which is attached to a swivel base on one end of a rectangular foundation made of Corian® or wood. The foundation firmly connects the easy chair to the floor and also serves as a beautiful display area and side table. 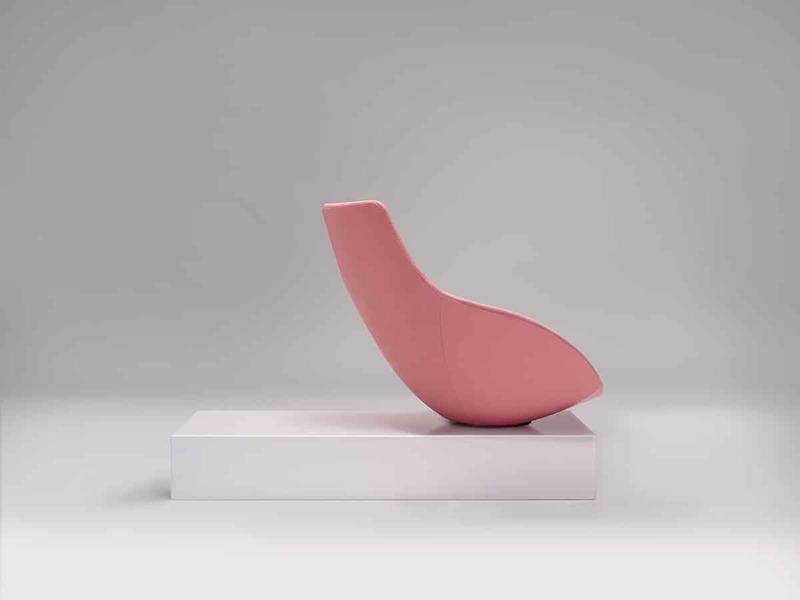 Just like a sculpture, Babled chair changes expression when you move around it, which creates a dynamic atmosphere in the room where it is placed. “If a piece of furniture is placed in a room to align with a certain element and for some reason it shifts in place, things look very off. 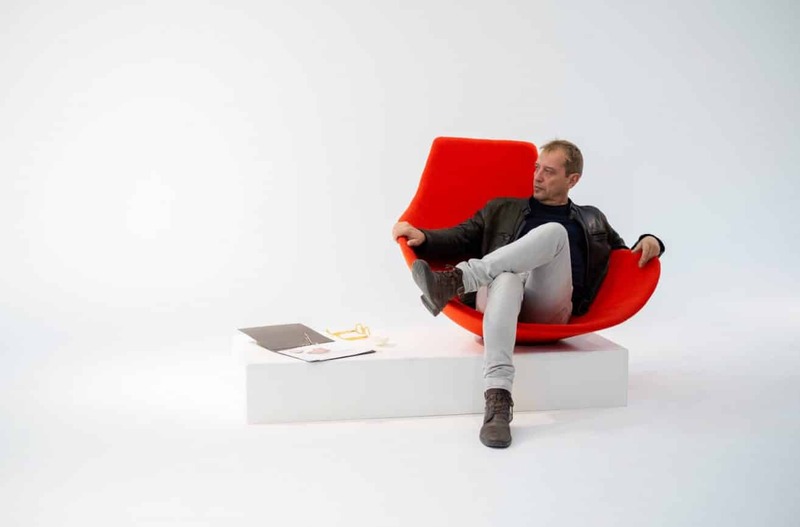 But Babled chair is made to be seen from all angles and therefore is never out of place, it really enhances the experience of a room,” says Anders Englund, Design Manager at Offecct. Babled chair was launched at Salone del Mobile in Milan 2018 under Offecct Lab. After a year of further experimentation in materials and techniques, Babled chair is now ready for the market. Offecct Lab is a department within Offecct where new techniques, materials and forms are tried and tested in order to move the furniture industry forward. 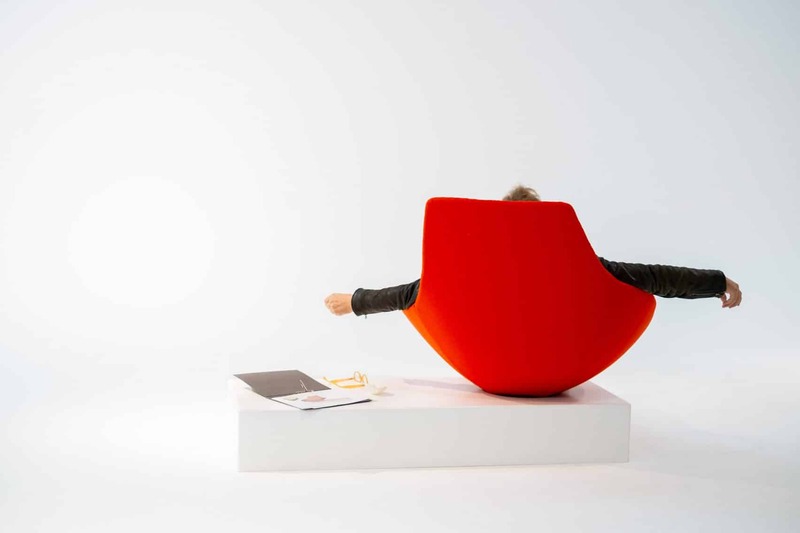 It is a part of Lifecircle, Offecct’s strategic work with sustainable design. Emmanuel Babled was born in France in 1967 and graduated in industrial design from the European Institute of Design in Milan. 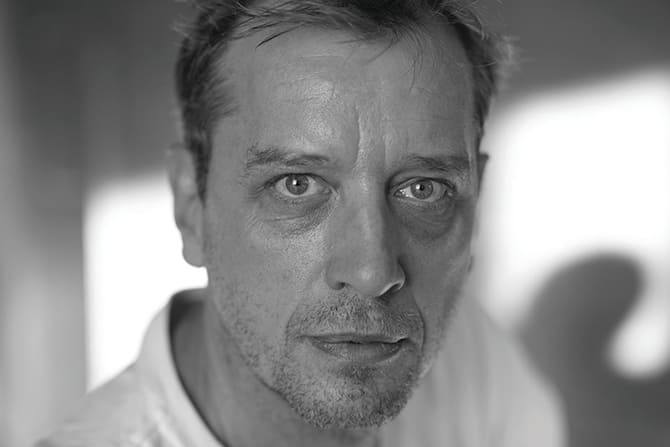 He started as a designer in Paris and moved to Milan in 1992. There he founded his own studio where he worked for 18 years, followed by five years in Amsterdam, before settling in Lisbon in early 2016.He has been a guest lecturer and developed workshops at Domus Academy in Milan and the Design Academy of Eindhoven.